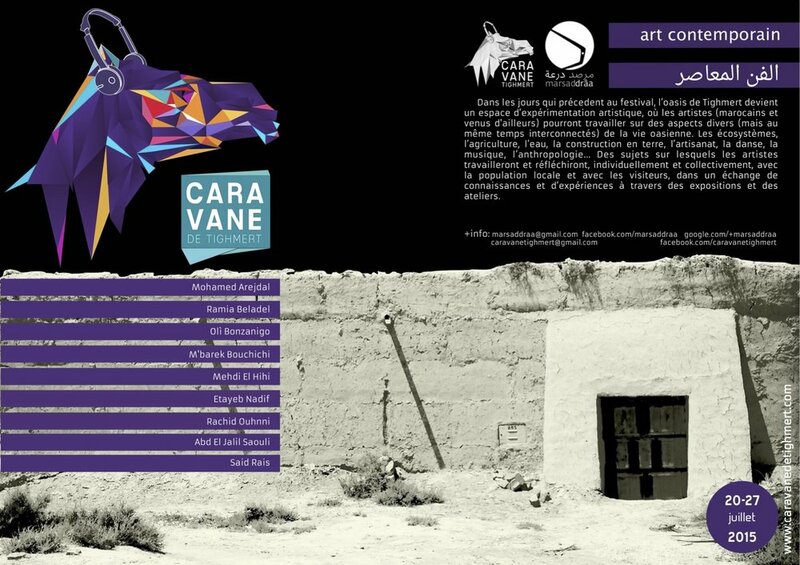 In May 2015, after a difficult winter with floods isolating the oasis, a group a friends (Bouchra Boudali, Ahmed Dabah and Carlos Perez Marin) decided to create a contemporary art and music festival, with a series of concerts and workshops during the month of July. It is true that we had only two months to seek for funding and that all calls for projects from different institutions had already expired, but it is true that the Guelmim authorities were not going to help us either. Faced with this problem we had to count on our friends, from the oasis and elsewhere. Thus, musicians, artists, biologists and historians came and shared their experiences and knowledge with the children, young people and women of Tighmert. During the week the musicians played in the house of one of the organisers (Bouchra Boudali), in a jam sessions format and the weekend Hossni Boudali, NassRock and Maâlem Abdelkébir Merchane performed on a stage we installed in a plot in the middle of the oasis for the general public. Visual artists worked in an abandoned rammed earth house and its surroundings. Arejdal, Beladel, Bouhchichi, Nadif, Ouhnni, Raïs and Saouli developed researches, workshops and produced this exhibition. It must be said that except Beladel, Ouhnni and Saouli, the rest grew up and/or live in southern regions, even in Guelmim, so, for them it was easier to produce an art installation in just one week. One of the goals of the festival was the encounter between artists and local population, a meeting that was easier when the artists were conducting workshops related to art. But also to the environment and the nomadic life, thanks to the members of the Association Friends of the Environment of Zagora (Adil Moumane and Dahmane Rabmoun) who came to lead workshops and talks. The result of the 2015 Caravane Tighmert Festival was very positive. Even if the first days the public was not very numerous at the concerts, the people of the palm grove ended up going massively to the concerts. On the other hand, the workshops were very successful between children and women (specially the one ruled by Ramia Beladel). This first edition took place thanks to private donors that funded the entirely budget (20.000 Dh) and also thanks to the generosity of the artists that came by their own means. From the beginning, we decided that we should first think about the children, women and young people of the oasis, instead of thinking how to bring tourists and public from the province, by planning activities throughout the year scheduled specifically for them, the inhabitants. Moreover, the goal was not to become the only association that organises activities but to create an atmosphere and inertia that encourages people to enjoy and work on the potential of the oasis as a space for contemporary creation. 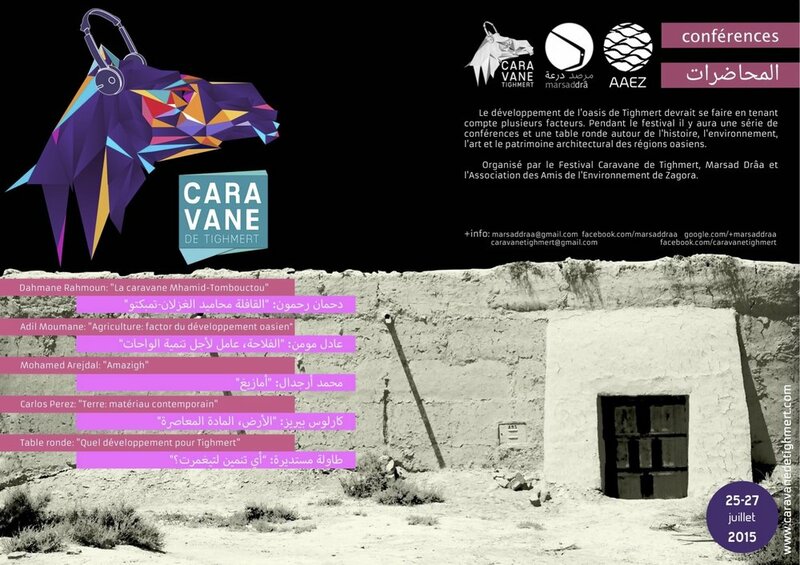 Thus, the first festival was a revulsive for young people, who around the new associations created (Amis du Festival Caravane Tighmert and Scout Tighmert), organise today activities for children, sometimes in partnership with other associations of the province or even Europe. This network, based on culture is be very important and perhaps the best success of Caravane Tighmert. But there have been other effects derived from the "festival". 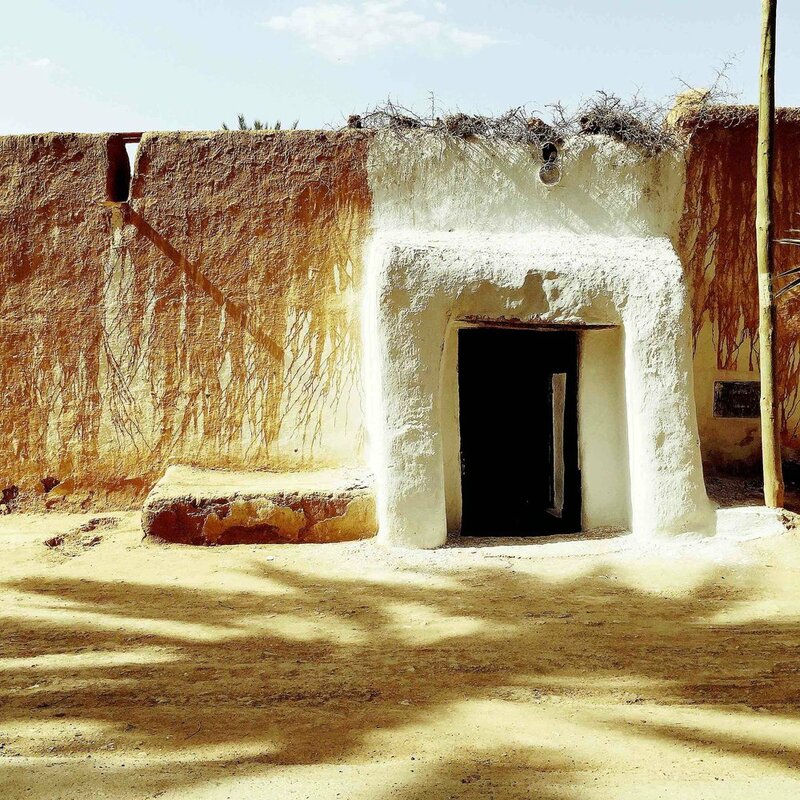 In July 2015 we rented a traditional rammed earth house that was abandoned, where visual artists worked during the event. 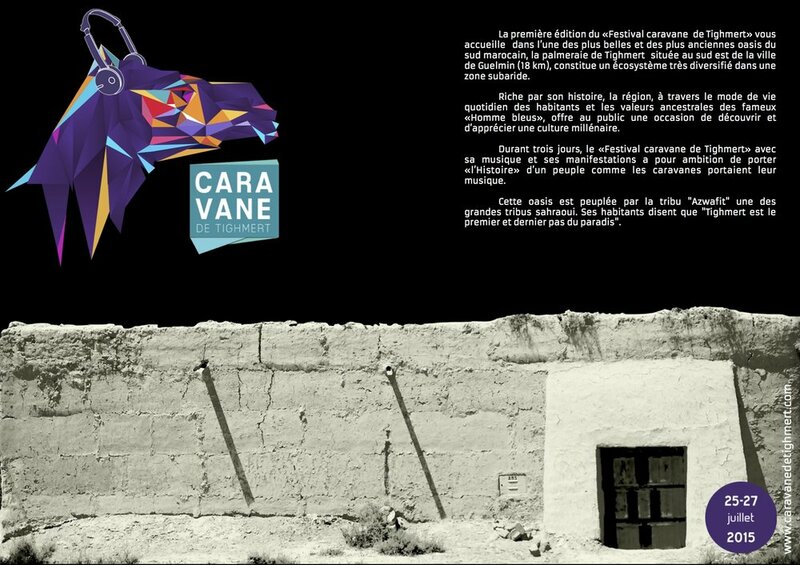 After the "festival" this house became not only the headquarters of the association Amis du Festival Caravane Tighmert, but a cultural center where various collectives carried out their activities. The local group NassRock rehearsed in this culture centre and at the same time, other young people approached, interested on learning how to play music. 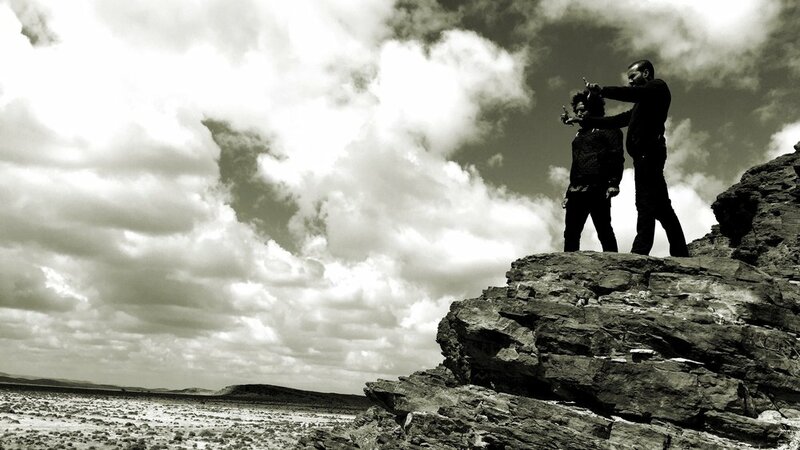 The echo of the work of visual artists during the festival in 2015 caused great interest and there have been many artists who wanted to come for the next edition. This meant that we had to make a call for artists to give the opportunity to participate to everyone. However, there were some artists that decided to come to Tighmert after seeing the possibilities the oasis and its people could offer to develop their artistic researches, like Amine El Gotaibi did for his project National Territory.